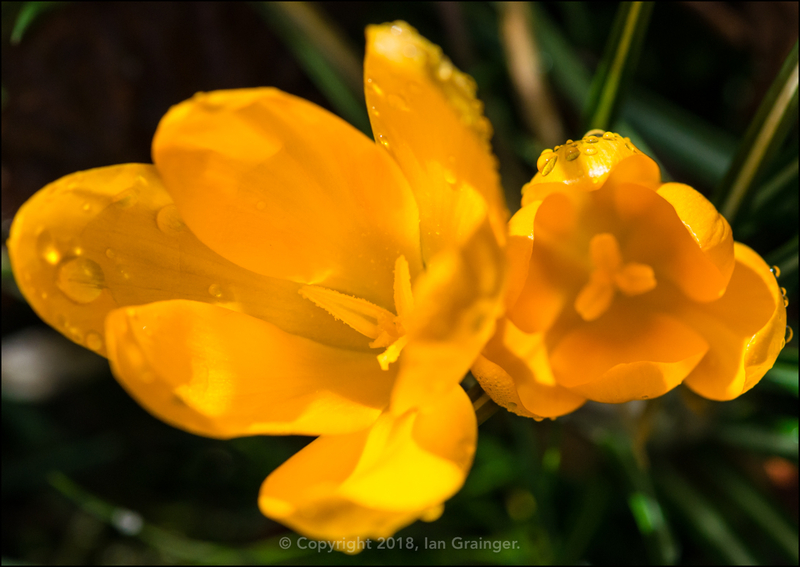 After a week of sub-zero temperatures, snow, frost, ice, hail, rain, wind and general transport chaos, it was more like a normal Spring day for my photo shoot this weekend. 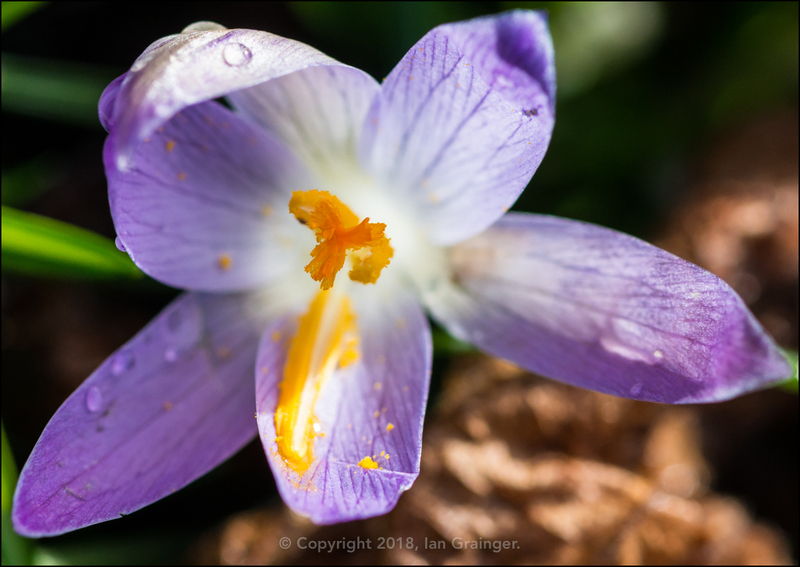 However, there had been casualties of the weather. 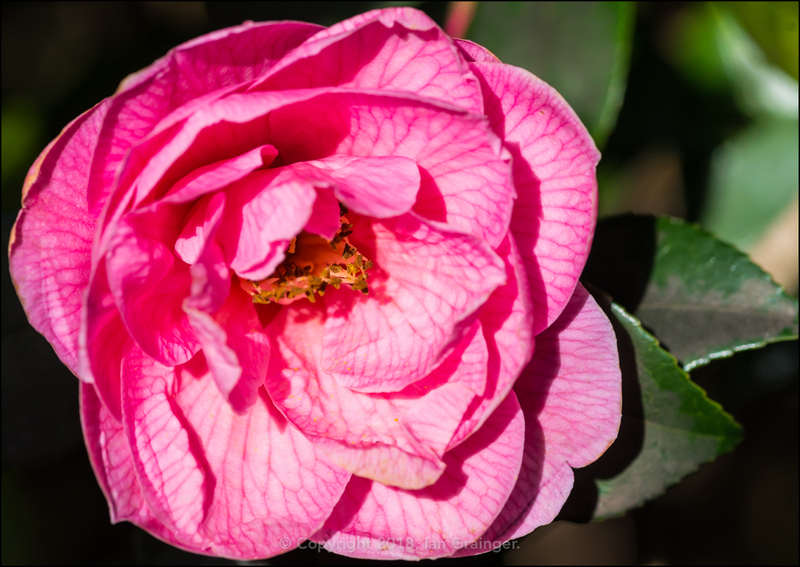 The chief of which was this Camellia bush in dad's garden. 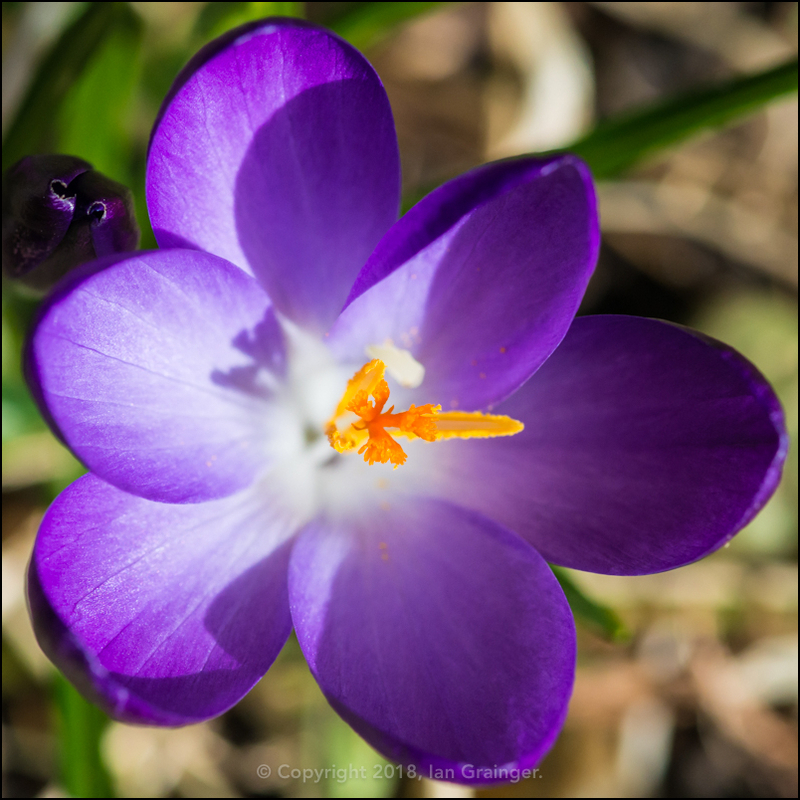 Regular readers may remember I posted last week about how spectacular it looked, with many of the flower buds opening last weekend. Well, they'd rather jumped the gun, so to speak. 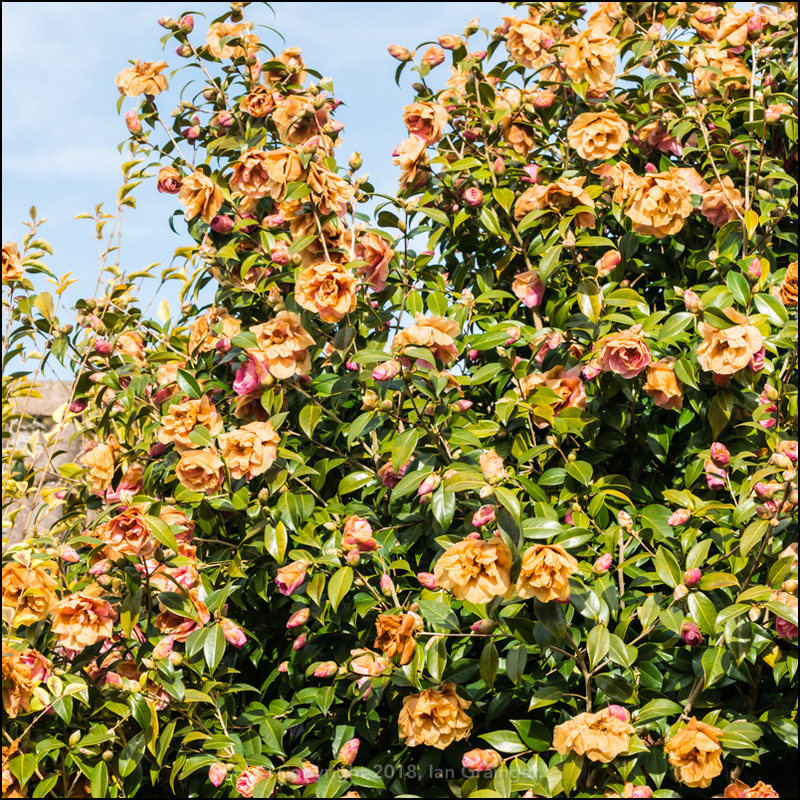 ...with the majority of them looking like this, having been damaged by the atrocious conditions. Here's a wider view of the bush to show the extent of the damage sustained. 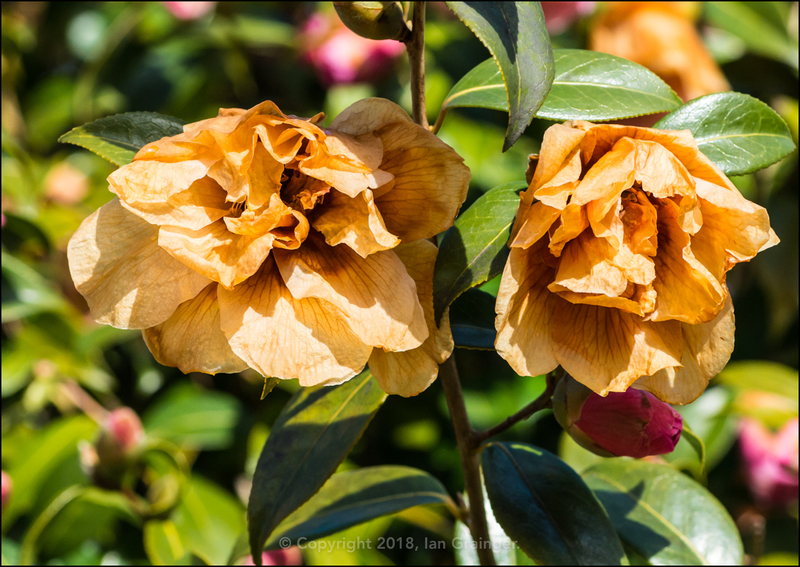 Such a shame as it was looking to put on a wonderful display for the next couple of months. 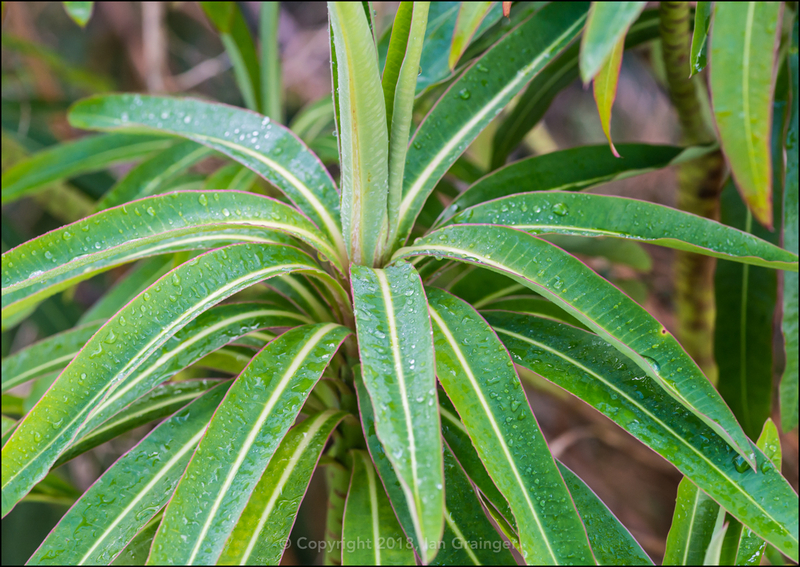 ...and this pair of orange specimens. 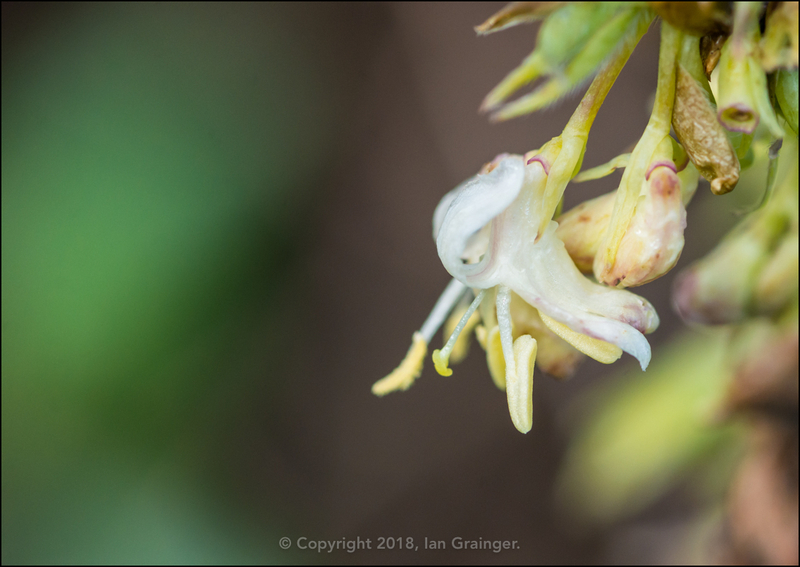 I couldn't believe that the Winter Honeysuckle (Lonicera fragrantissima) bush still had flowers. I'd written this off a couple of times in these pages already this year, but here it was, still performing after some of the worst weather we'd had in a long time! 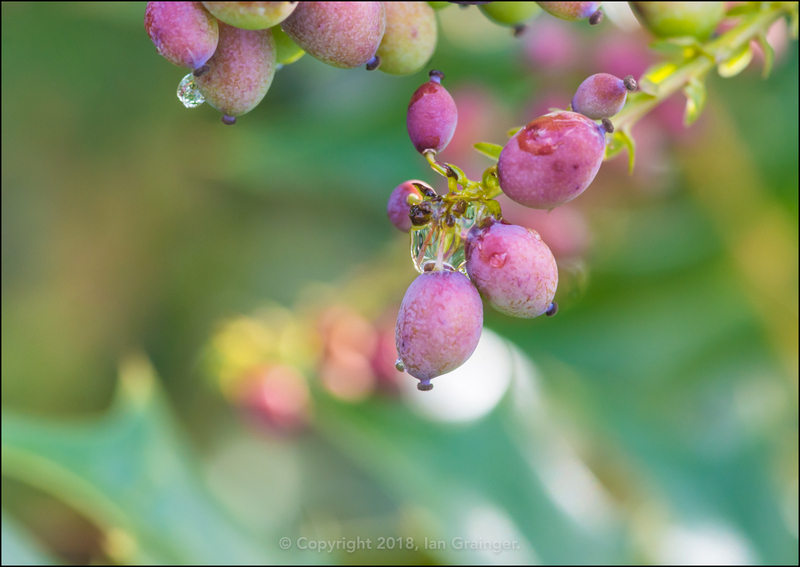 The Mahonia (Mahonia japonica) berries also seemed unaffected by the adverse conditions, and were colouring up nicely. 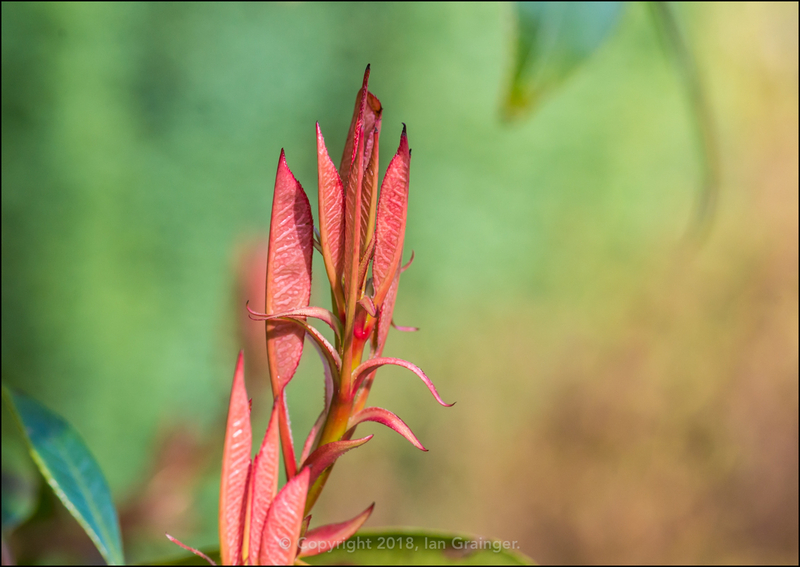 ...and this Red Robin (Photinia fraseri) bush, which was forming many new red leaves. 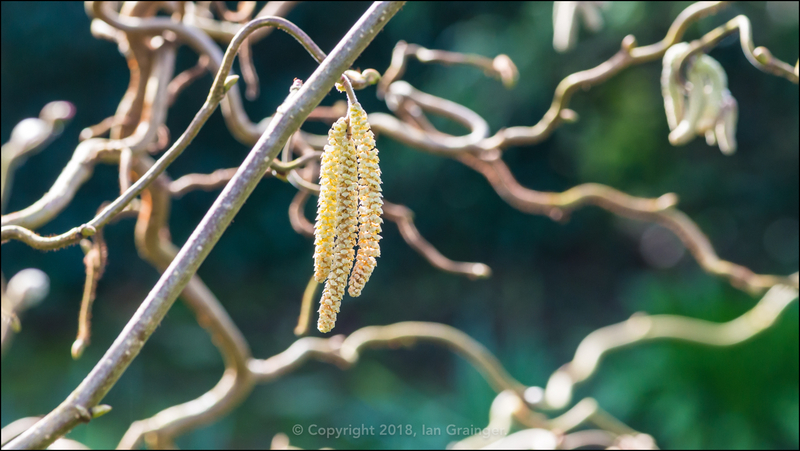 Meanwhile, the Twisted Hazel (Corylus avellana Contorta) tree catkins continued to open up to await pollination. 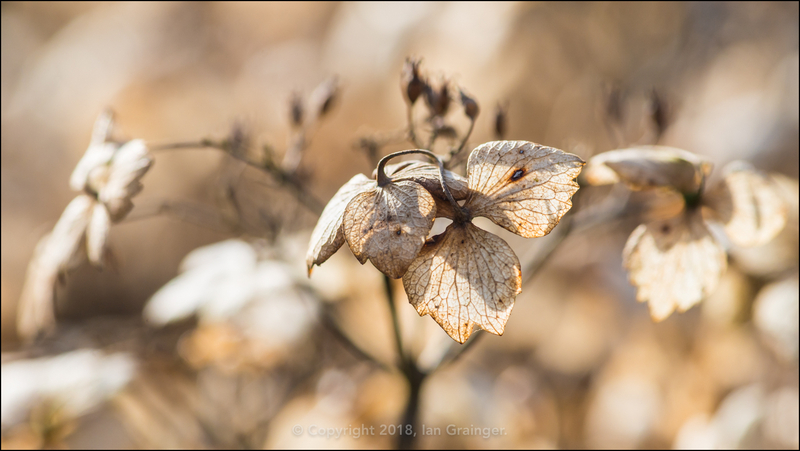 Now, technically, I know that Springtime doesn't begin for another couple of weeks, and that it's still late Winter, but doesn't this photo put you in mind of Autumn? 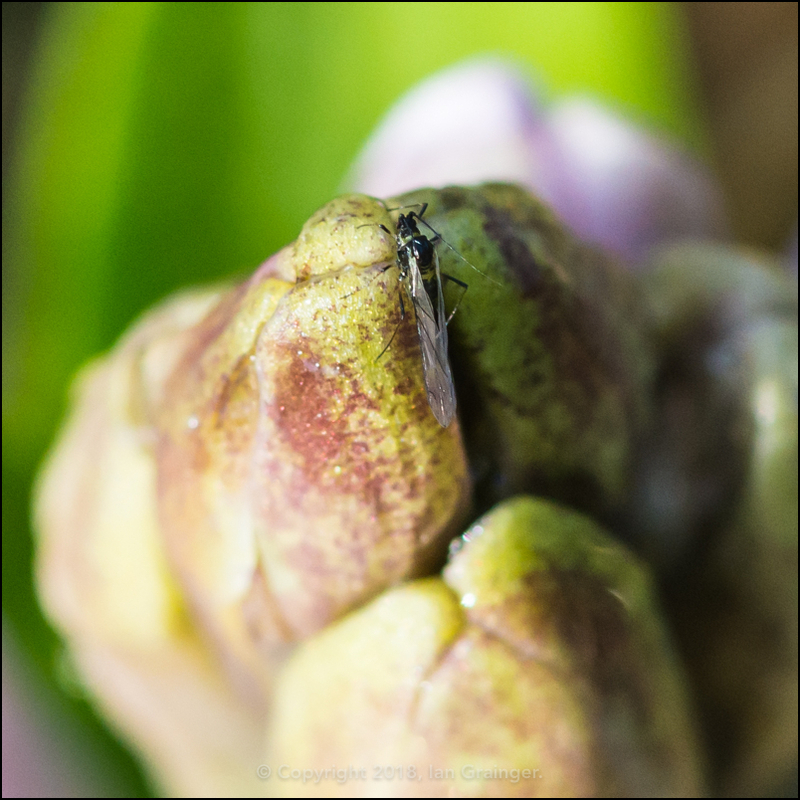 So while I was looking for something, anything, to photograph in dad's garden, I came across a Hyacinth (Hyacinthus orientalis) flower bud, with a tiny little visitor on top. I've no idea of the species of Fly, but he was certainly a very hardy creature. 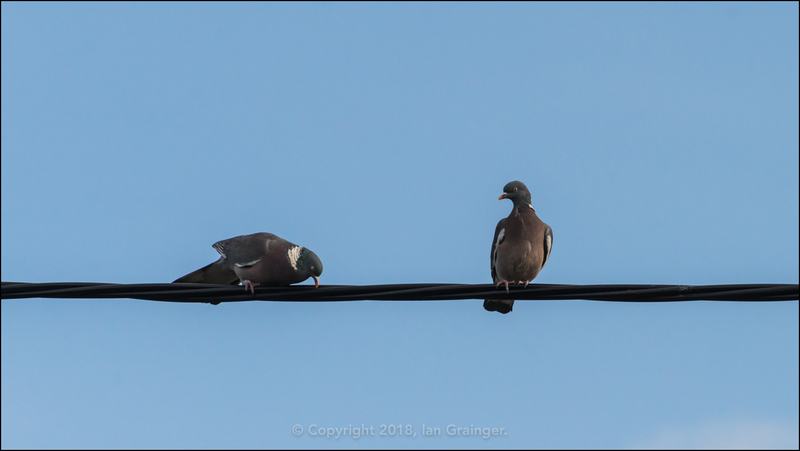 Turning my lens towards my feathered friends, I was intrigued by these two Wood Pigeons (Columba palumbus). The male, I assume, on the left was performing some sort of high wire dance, bowing his head, and inching closer and closer to his prospective mate. The female was unimpressed though, and they both ended up flying off in different directions. 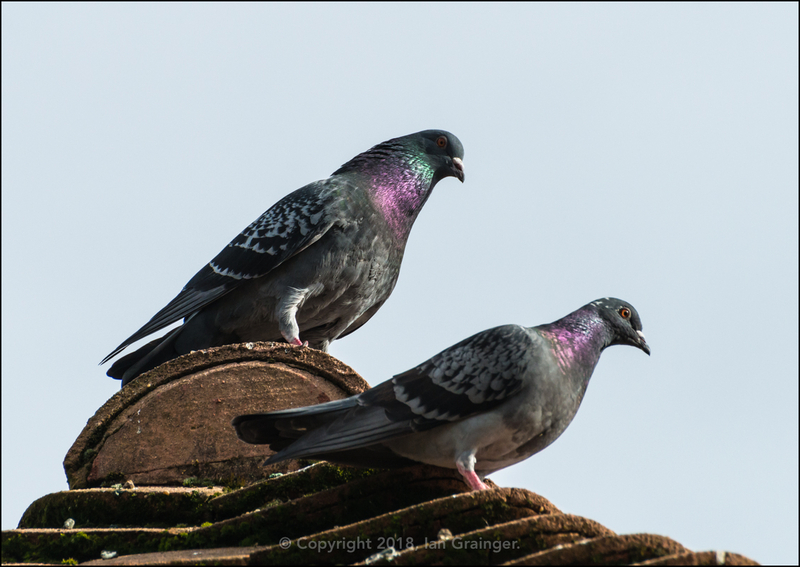 Maybe these Feral Pigeons (Columba livia) would make better partners? The big male at the top had a different dance to attract a partner. He spun around and around and around, bobbing up and down, and puffing out his neck feathers, constantly cooing as he spun. At least the female didn't fly off, so she must have been impressed! 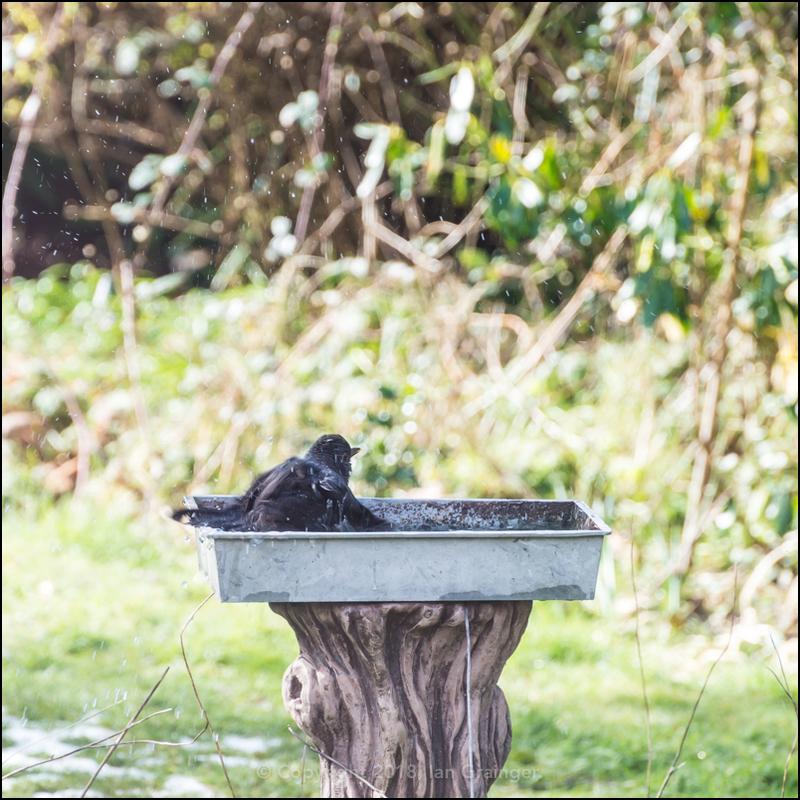 While all this was going on, this little Blackbird (Turdus merula) was enjoying having a splash about in the makeshift bird bath. It had been frozen solid for the past week, so there was a queue of birds waiting to use the facilities! Finally, back indoors to one of my tropical fish tanks. 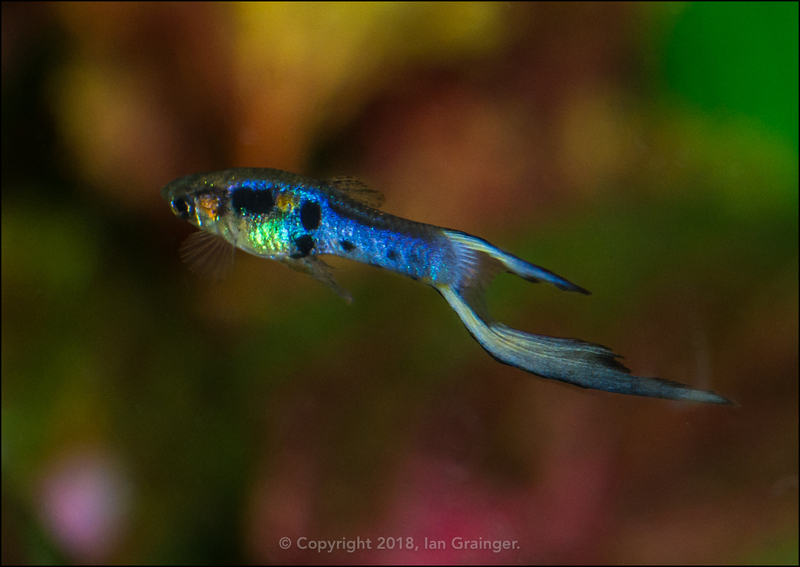 Last week I managed to grab another photo of Elvis, my pretty colourful Endler (Poecilia wingei) guppy. He's grown maybe 3-5mm since I last photographed him, but he's still so small he's no easier to get a decent photo of. I thought this shot showed his tail off quite well though.